I have rediscovered green peppers after a long hiatus! 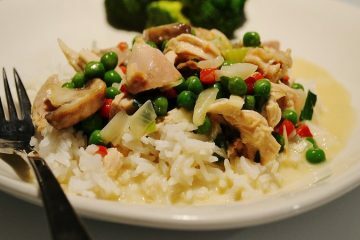 I think it was largely this recipe which made me fall in love with them again. 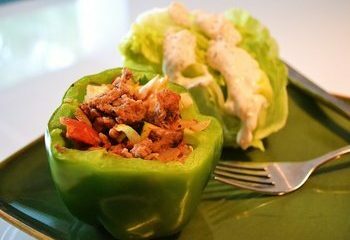 While I love the traditional version of rice and beef stuffed peppers simmering in tomato sauce, I wanted something different and this beef- and grain-free version does not disappoint. 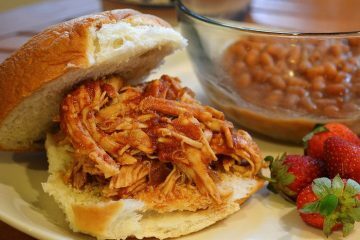 My friend and neighbor, Nicole Rodriguez, passed this super crock pot recipe on to me over 5 years ago. Since then, it has become a favorite any time of year. I have modified the original recipe to use a little less processed sugar and eliminated the highly processed Worcestershire sauce. You won’t even miss it! Don’t be intimidated by the long list, it comes together in less than 10 minutes. 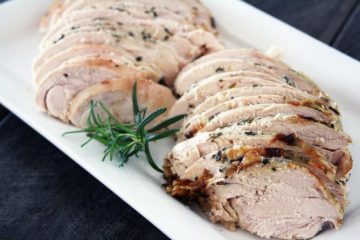 My dad and I sat sipping tea the day after Thanksgiving reminiscing about Thanksgivings past and he reminded me of one of my favorite childhood meals he used to prepare, usually with leftover Thanksgiving turkey, Turkey a la King. I had forgotten all about this popular comfort food but now I was craving it. Tired of my turkey soup and still having some leftover turkey I was ready to make it! While Pops could not quite remember how he made it, he did remember he used diced pimentos, an ingredient I remember giving the creamy concoction its distinct flavor. An internet search resulted in many versions and when I stumbled upon Campbell’s version I had a feeling this was what my dad was making (it was the 1970s!). 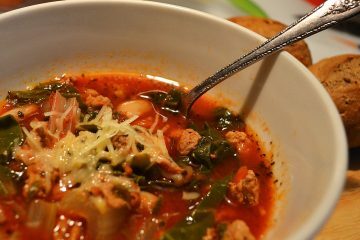 This is my whole foods adaptation (no canned soup in this recipe!) and it tasted just as good, maybe even better, than I remembered. Thanks Pops for helping me continue the family tradition with my kids. We could not get enough of these (even the picky eater in the family)! It’s the perfect blend of all that we love about Thai food- a little spicy ginger, a little heat from sriracha sauce, salty fish sauce and fresh herbal cilantro. 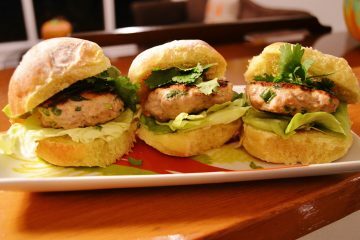 These make a fun dinner or a great appetizer at your next get together. This is a riff on the ever popular chicken chili that is perfect potluck for early fall football games, but try making this in your slow cooker in the spring or summer with a dollop of cool sour cream or Greek yogurt for a tantalizing trip to Mexico without the expense of a plane ticket. 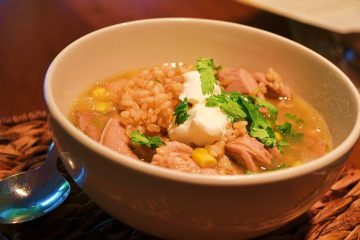 The use of turkey thighs results in a soon-to-be-favorite change to your standard chicken chili recipe.